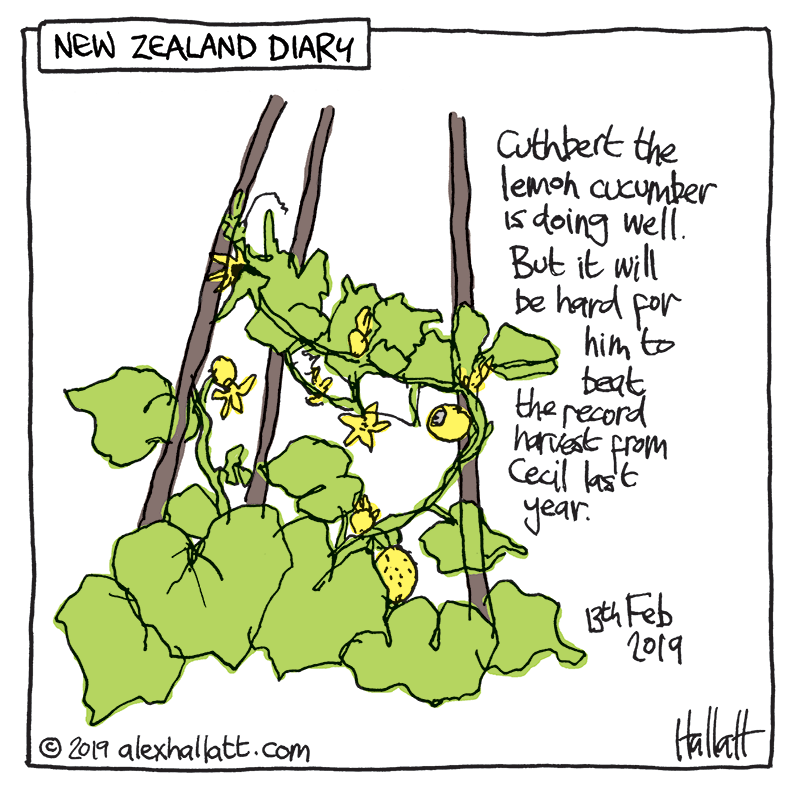 This is a challenging year to grow cucumbers outdoors in Lyttelton. Not because of the shorter growing season (Lyttelton is inside an ancient volcanic crater and when the days get shorter we lose the sun before Christchurch does), but because we've had so little rain. I have planted Cuthbert in an area that I can soak with the hose. There is also a lot of mulch there. I prepared the ground by digging in masses of manure and compost well before I planted the cucumber. Last year, I got 15 cucumbers from Cecil. I've had one so far from Cuthbert, but he's got some time to catch up.